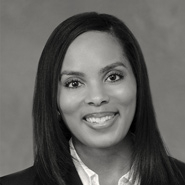 Dinsmore & Shohl LLP’s Vanessa Rogers has joined the Louis D. Brandeis Inn of Court as an associate member. Part of the American Inns of Court, the Brandeis Inn is an organization for legal practitioners that promotes skill development and professional excellence. The Inn is limited to 84 members and has a focus on litigation and trial techniques. An associate in Dinsmore’s labor and employment department, Rogers handles all varieties of employment matters for clients, from discrimination and retaliation issues to on-the-job injuries. She counsels clients on issues involving Title VII of the Civil Rights Act, the Americans with Disabilities Act and other state and federal employment statutes. Her practice also includes defending employers in workers’ compensation matters. Rogers received a B.A. in political science and psychology from Marshall University and a J.D. from the University of Kentucky College of Law. Masters include lawyers and law professors with more than 15 years of experience, as well as federal and state judges. Barristers include lawyers and law professors with six to 15 years of experience, and their terms of membership are three years. Associates include lawyers with one to five years of experience, and their terms of membership are two years. Pupils include law students who are in their final year of law school, with a one-year term of membership. The Brandeis Inn’s members are selected from across the Louisville metro area and include representatives of the plaintiffs’ bar, defense counsel, solo practitioners, government lawyers, corporate counsel, law professors, persons working in large and small firms, and federal, state, and local trial and appellate judges.